How the UK state works is very well known. But how a fully independent Scottish state would work, and how costly it would be to set up, has created a lot of concern, even dread in some quarters. Our report essentially shows that the Scottish Government has put in place a timetable for transition that is demanding but feasible. We can say with some confidence that Scotland’s immediate set-up costs are likely to be constrained we suggest around £200m in one-off costs to create its own versions of a few but big and important existing UK department capabilities. The UK Treasury has suggested that Scotland could also face IT and new administration costs in taxation and benefits, of perhaps as much as £900m. But these would be systems that come on line only in 2018 to 2021, and they would endure for many years. They hence take on the character of investments, where future running cost savings would also be sought. The two absolutely critical influences on Scotland’s likely overall transition costs are the realism of Scottish government planning for independence, which generally seems high. It does assume, however, that a moderate and rationalist approach will be taken by the Government in Westminster. The stance that London ministers would actually take in negotiations over the transition remains largely undefined. None of these conclusions offer any positive reasons for voters to choose Yes or No, for that was not our purpose. Just because a step might be feasible, and not too costly, is not in itself a reason to take it. Scotland’s voters will make up their own minds what to do, and for their own reasons. But they can be broadly confident that, whatever the majority decides, future Scottish Government will be generally effective and well organised. 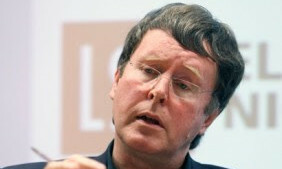 Patrick Dunleavy is Professor of Political Science and Public Policy at the London School of Economics.